The Alumnae Programming and Engagement Committee is excited to continue our series spotlighting Sigma Delta Tau’s wonderful volunteers! 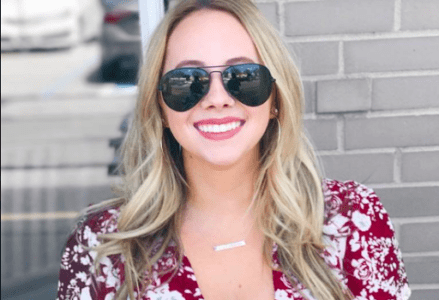 In this month’s Empowered Volunteer Series, we interviewed Taylor Lee, a Recruitment Coordinator for our Upstate New York West region. Taylor embraces the opportunity to empower SDT sisters to grow personally and professionally by volunteering. Q: Why do you volunteer for SDT? A: SDT was such an integral part to my undergraduate experience. I truly would not be who I am today without this organization. I volunteer to help give that experience to others. Q: What keeps you busy outside of SDT? A: Currently my job has me crazy busy. I currently work at FDM Group, a global talent provider with a focus on IT, as a Recruitment Specialist. When I am not at work you can find me at the gym! Taylor and Courtney Rubin served as Leadership Consultants in 2016-17. Q: What skills have you developed from volunteering that you’re able to apply in other areas of life? 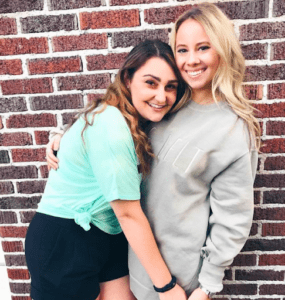 A: Volunteering for SDT taught me the importance of communication. Making sure that you’re communicating effectively and respectfully has been huge for me. As a volunteer, you gain connections by not only working with undergraduates but also other volunteers and even campus professionals. Being able to tailor what you’re saying to each group has been incredibly transferable to my career. Q: What advice would you offer someone interested in volunteering for SDT? A: DO IT. Reach out to the National Office and get involved. There are so many opportunities in so many areas to give back to such an incredible organization. Additionally, I love the opportunity to work with the other volunteers and truly see the impact that we can have on someone’s college experience. Sigma Delta Tau would not be successful without the time and effort put forth by our volunteers. Every alumna has the ability to make an impact. Whatever your interests may be–programming, service, scholarship, or recruitment–there is an opportunity for you! If you are interested in finding your passion within SDT, fill out our volunteer interest form. 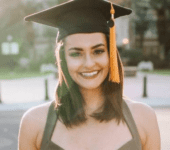 Author Bio: Taylor Goldberg is a recent graduate from Florida State University and is currently attending chiropractic school at the University of Western States. Taylor was a member of this year’s Collegiate Leadership Team and is currently serving on the Alumnae Programming and Engagement committee which works to create engaging and relevant programming for SDT alumnae of all ages.